"Rep. Jordan: A border security wall needs to happen." "House approves bill to avert government shutdown and fund border wall"
"Jordan on Border Wall: If We Stand Firm, We can Get it Done"
Leadership roles are for fighters who have principles (and stand for them). The next fight begins NOW: @Jim_Jordan challenges McCarthy for minority leader!
. @Jim_Jordan drops 9 ways that @realDonaldTrump is making America great again!
. @realDonaldTrump with the next Speaker of the House! While the President was giving a great speech in El Paso, Congress was putting together a bad deal on immigration.
.@Jim_Jordan: "Trump Has Had an 'Amazing Year and a Half"
. 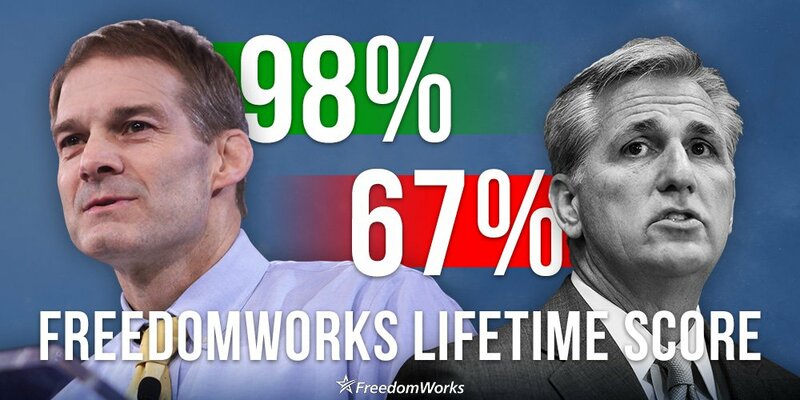 @FreedomWorks backs @Jim_Jordan for House Speaker! Hannity renews support for @Jim_Jordan's Speaker bid!